Lifesize Live Stream is the ideal solution for organisations and teams that need to stream updates, training sessions, conferences and large company meetings. Extend your video, audio and web conferences to everyone, wherever they are located with Live Stream, that enables broadcasting an unlimited number of live-streamed video events simultaneously for up to 10,000 concurrent viewers per event. Attendees around the world can view the stream right from their browser and engage with the presenters with real-time question and answer sessions. Lifesize Live Stream enables you to stream any Virtual Meeting Room within your Lifesize Cloud. For organisations who want to turn ther collaborative virtual meeting into a broadcast event, straight from any Virtual Meeting Room that your employees use every day. Simply visit the meeting tab in the admin console and enable live streaming on the chosen VMR. Lifesize Cloud will give you a link that you can send out to everyone to join, straight from their browser, mobile, desktop or laptop. 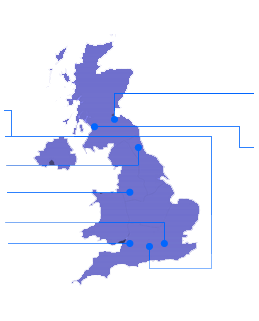 Many organisations have times in which events and meetings need to include many other attendees, such as large corporate broadcasts and company updates, training and educational seminars, or anytime you need to reach a live audience. Presentations come alive and more employees can be engaged when speakers are seen on video, can share their screens, and everyone can participate in real-time question and answer sessions. Take your events beyond the walls of the office with live streaming for up to 10,000 people. Live stream provides flexibility, accessibility and simplicity of a large broadcast, to enables effective professional communication throughout your organisation, whilst using the same tools your team are utilising every day. Lifesize Live Stream provides freedom to scale as you need. Enable any virtual meeting room for live stream events, with unlimited usage without constraints of a fixed package. 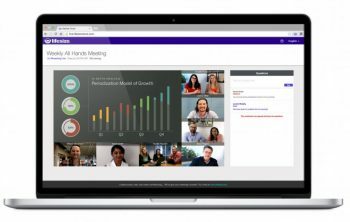 It fits perfectly into the Lifesize Cloud experience, it’s the same app whether you’re joining a meeting from your desktop, joining a meeting from your conference room, or broadcasting to a large audience.